The AACD is thrilled to honor some of its most accomplished and dedicated professionals with Evy awards during the Celebration of Excellence on April 27, 2019 at the 35th Annual AACD Scientific Session in San Diego. The AACD Celebration of Excellence Award statuette has been dubbed “The Evy,” in honor of the late Dr. Jeffrey Golub-Evans, who was the creative force behind the award’s design. Evy recipients are first nominated for the award by their colleagues and then are selected by the Awards and Recognition Committee. Evy award winners represent the most exemplary and talented individuals within the AACD and the industry who are dedicated to advancing excellence in the art and science of cosmetic dentistry and to the highest standards of ethical patient care. Joyce earned her DDS degree in 1983 from Ohio State University, earned her AACD Accreditation in 2001 and went on to achieve Fellowship status in 2013. 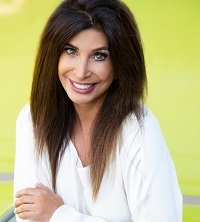 She has been an AACD member since 1993 and currently maintains a private practice located in Scottsdale, AZ. Dr. Beers graduated from University of California, Davis (UCDavis) in 1971 with a B.S. in biochemistry. He attended Washington University School of Dental Medicine in St. Louis, Missouri and received his Doctor of Dental Medicine diploma with honors in March 1975. Duane has been an AACD member since 2000, earned his AACD Accreditation in 2008, and currently maintains a private practice located in Socorro, NM. Marilyn earned her DDS degree at UCLA School of Dentistry in 1979 and earned her AACD Accreditation in 2007. Dr. Calvo has been an AACD member since 1998, and currently partners at Smile Studio LA in Encino, CA. Bill earned his DDS degree in1983 from the University of the Pacific in San Francisco, earned his AACD Accreditation in 1992 and went on to achieve Fellowship status in 1997. Dr. Dorfman has been an AACD member since 1989, and currently maintains a private practice in Los Angeles, CA. Robert Ganley became an AACD member in 2003. Ganley earned an undergraduate degree in mathematics and a graduate degree in business administration. In 1980, he joined Ivoclar Vivadent as a Vice President and was named President of Ivoclar Vivadent North America in 1990. In 2003, he was appointed Chief Executive Officer of Ivoclar Vivadent Worldwide in Schaan, Liechtenstein. Dr. Hartlieb earned his DDS at the University of Michigan School of Dentistry and earned his AACD Accreditation in 2017. Dennis has been an AACD member since 1999 and currently maintains a private practice in Glenview IL. Clement Kairouz became an AACD member April of 2018, and is currently a dental student at NYU. Mr. Kairouz joined the AACD to further his education in dentistry and will be the first student member in history to be awarded an Evy Award. These AACD members will be honored for this achievement at AACD 2019 in San Diego during the Celebration of Excellence on April 27th, 2019.